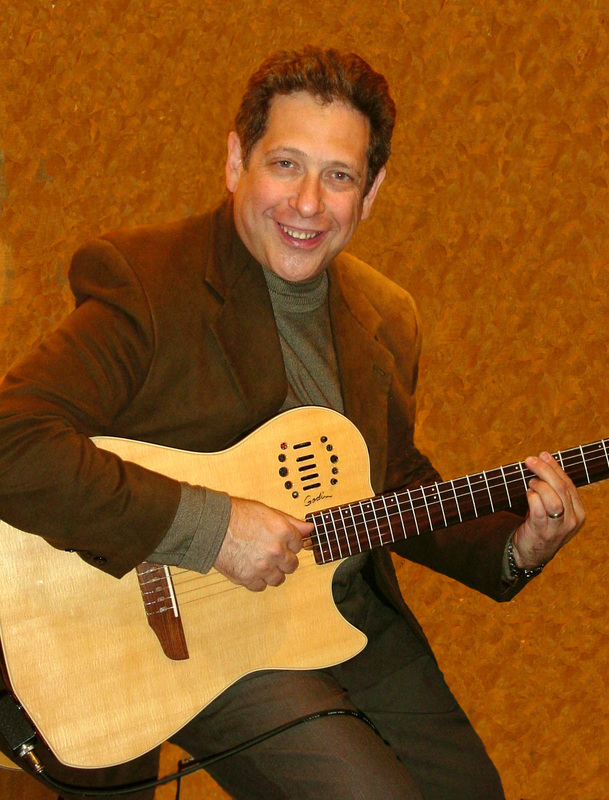 Chuck Loeb and other popular contemporary jazz guitarists. Barrie was professional by age 14, starting out with a teenage rock band, playing Beatles, Beach Boys and Chuck Berry tunes plus some classic R&B. These early musical relationships lasted well into his twenties and he had the privilege of recording with Lipps Inc., a Minneapolis-based band best known most for its number one hit “Funkytown” in the late 70’s. Barrie’s evolution as a guitarist was accelerated when he began to experiment with a Roland guitar synthesizer, which allows his electric guitar to take on the sound of a wide range of instruments. He now has the opportunity to solo as a saxophonist, flutist, organist, violinist and many others, all while playing on the guitar. He chooses the instrument based on the style and mood of the song. Barrie’s idea for a “virtual band project”—whereby he plays solo over his pre-recorded jazz backing tracks—evolved naturally. Having taken a break from professional performances for a number of years, he became a self-taught jazz pianist, which gave him the technical and musical skills to arrange and record his own instrumental backing tracks at his home recording studio. A rush hour featuring the live music of Lee Alec Barrie, 4 p.m. to 7 p.m. June 27 is sure to be an energizing and memorable experience.